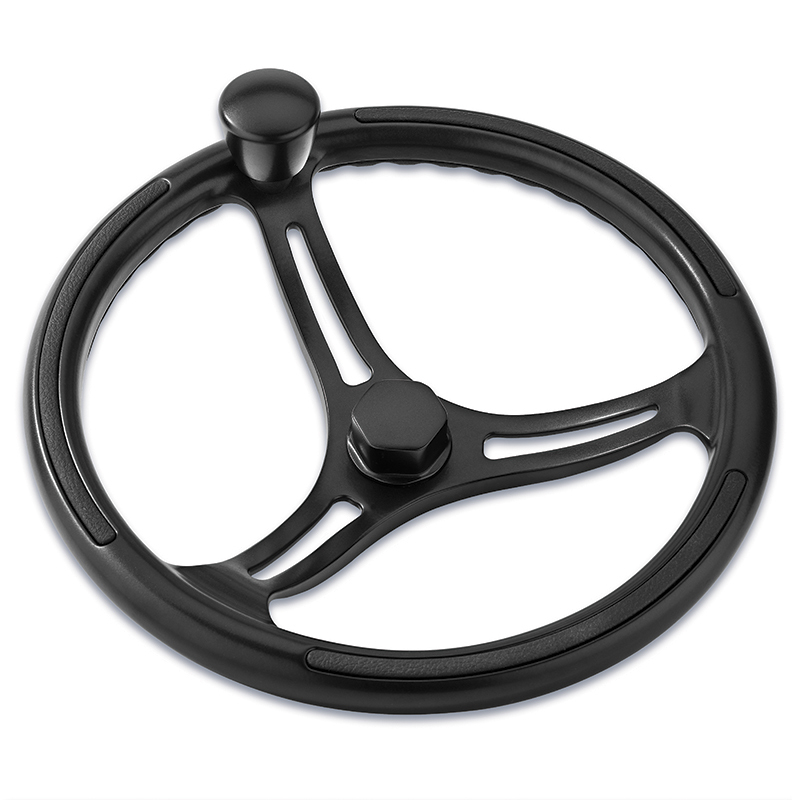 The new powder-coated Primus steering wheel from Schmitt & Ongaro Marine Products can be tactical, race-inspired, sophisticated or rebellious. Made from cast stainless steel with a deep and durable powdercoated finish, the wheel can anchor the dash and define the style of the entire vessel. Black is the standard color, and other colors are available upon request. The powdercoated Primus is made using a unified investment casting that surrounds an integrated steel ring. It exceeds ABYC P-22 and ISO 8848 standards and comes with a lifetime warranty for corrosion and structural integrity.